Our Latest acquisition: Our 4-channel Tricaster 455 HD switching system will accept four cameras in either1080i or 720p and records internally to any format. 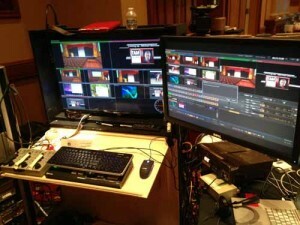 It can also record up to 4 streams of video so you can record the program feed and three cameras for later editing. It also can accept an unlimited number of computer feeds (no scan converters required!) and the two huge 36″ monitors show all the preview, programs and source monitors along with audio levels and music or playback clips. 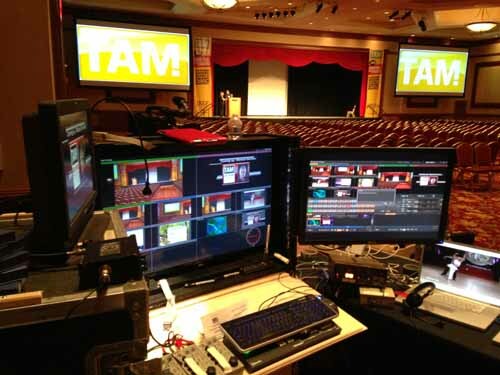 In this photo, we were using the 455 to feed the projectors for a conference attended by 2000 people, switching live and adding lower thirds while recording a ‘clean feed’ without the CG. Our client was certainly impressed. 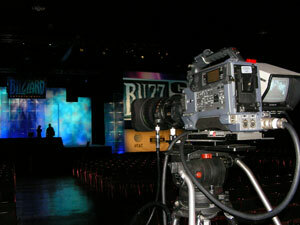 We recorded the program feed and three iso-cameras over a four day period – that’s over 90 hours of HD footage. Our new Panasonic HPX370 HD cameras have paintbox control to match each camera, and the ability to record on P@ cards for extra backup. A 4000 watt UPS is included to keep the power clean. Our SD (standard definition) fly-pack systems can be set up at any remote location within 1-3 hours and requires only 20 amps of power, so no generator is needed. This system is effective and designed to go where trucks cannot. Everything is included that you see here. Multi-channel audio recording available as well. 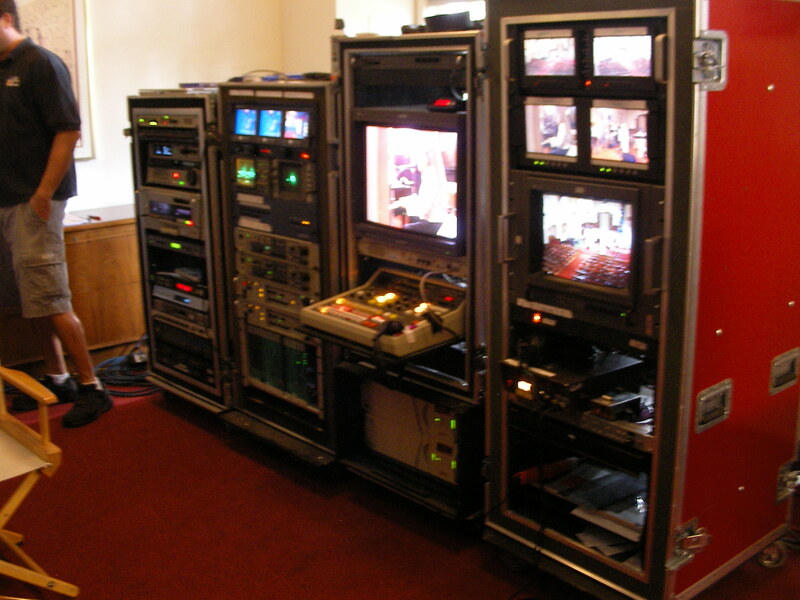 Our experienced video and audio engineers and reliable cameramen make for well-executed productions. 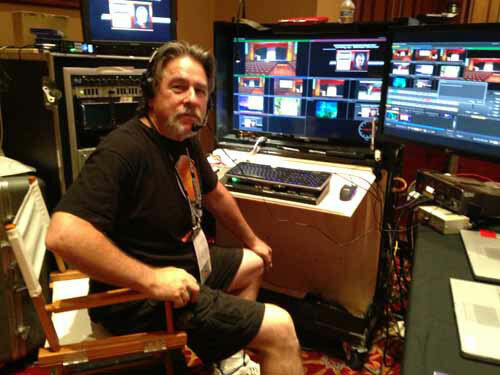 We also have the ability to live-stream with our smaller Tricaster system to any server.